I must have been a very good girl over the last year because I was given some very nice presents this Christmas. Of course, a lot of them were craft themed. 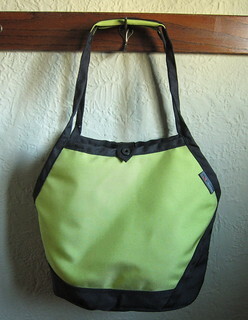 The big one was this Tom Bihn Swift knitting bag. This bag was designed in conjuction with Knitty readers to be just what knitters want in a bag. 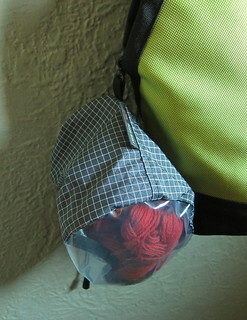 It is study, has see-thru pockets inside and o-rings to clip in yarn stuff sack (which also have clear bottoms so you can see the yarn. Of course there were also lots of books. 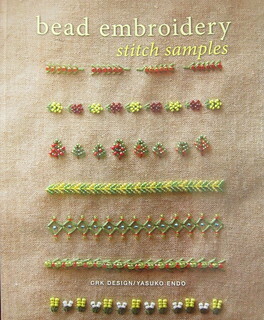 I really want to dive into the first one make myself a beaded cardigan. I love embroidering so the addition of beads will be fun. The second one is really interesting, I always love learning new sewing techniques. 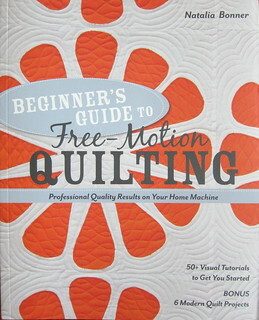 I struggled quite a bit with free-motion quilting on my first quilt. I hope this book will teach me some tricks to try it again. 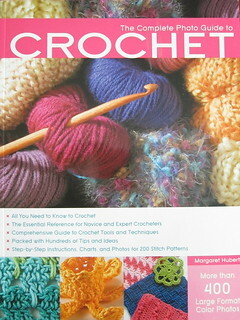 And this last one should help me with that New Year’s resolution to take my crochet beyond the granny square. 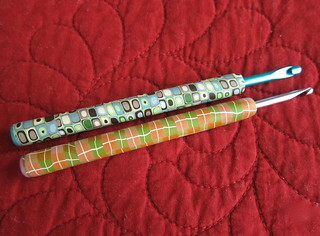 Finally, I received a pair of crochet hooks from Polka Dot Cottage (apparently Santa reads this blog). Aren’t they lovely! 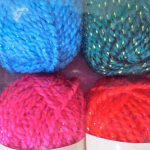 What sort of crafty goodness did you receive this holiday season? 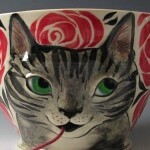 6 years ago by Kat in Books , Tools | You can follow any responses to this entry through the RSS feed. You can leave a response, or trackback from your own site. I didn’t receive a ton of crafty gifts, but I did receive a pair of the blackthorn needles that I apparently had mentioned way more than I thought I had. I believe my husband bought them as a gift from his family, and he had been paying enough attention that they are even the right size (2 mm). 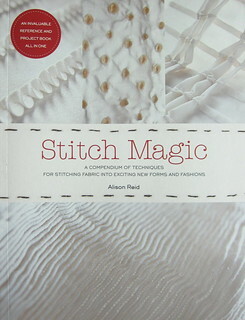 The Stitch Magic book looks intriguing. I didn’t get crafty goodies exactly, though I did get a small knitted Christmas tree stanging on a cotton reel! And some Amazon vouchers which became the <A href="http://www.amazon.com/Merchant-Mills-Sewing-Carolyn-Denham/dp/1908449098/ref=sr_1_1?s=books&ie=UTF8&qid=1357600183&sr=1-1&keywords=merchant+and+mills"<Merchant and Mills Book of Sewing and Material World. I think Material World is possibly the best craft book I’ve ever read. I really love it. And the M&M book is excellent too, though more traditional. Oops! Messed up the html, sorry.